The JUVÉDERM collection of fillers are injectable gels made from modified hyaluronic acid (HA). HA is a naturally occurring sugar found in the human body. 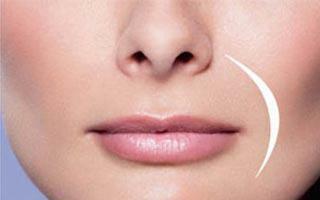 Using a fine needle, your aesthetic specialist injects the smooth gels under the skin. JUVÉDERM Voluma XC is the only filler proven to last up to 2 years in the cheek area. JUVÉDERM XC is the only HA filler proven to last up to 1 year in moderate to severe facial wrinkles and lines. JUVÉDERM Ultra XC is the only filler proven to last up to 1 year in the lips. Are your cheeks revealing your age? Lines and wrinkles aren’t the only signs of aging. as we age, our cheeks flatten and the skin may begin to sag. This is caused by loss of fullness, or what the experts call age-related midface volume loss. 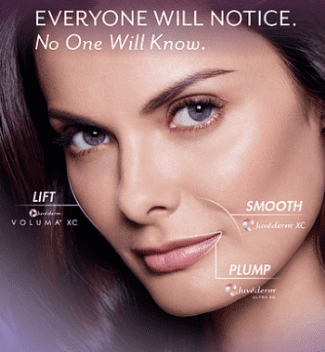 JUVÉDERM VOLUMA XC is designed to add just enough volume to gently lift and contour the cheek area. Don’t let your lines define you. Over time, your skin loses elasticity and moisture. 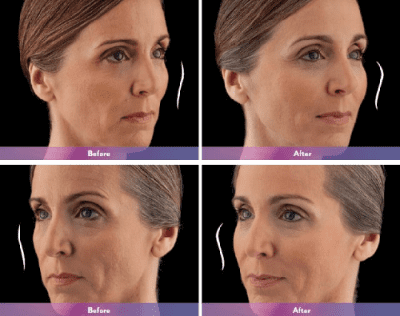 This natural process, plus genetics and environmental factors like sun exposure, can cause moderate to severe lines and folds such as parenthesis, vertical lip, corner, and marionette lines to form around the nose and mouth. While serums and creams can help moisturize the skin’s surfaces, JUVÉDERM XC goes beneath the surface to reduce the appearance of deep lines and folds, and give you the natural-looking, long-lasting results you want. Over time, your face changes in many ways. Lines and wrinkles form, but other changes often include volume loss in the cheek area, or thinning lips. Some women, however, may have naturally thin lips and may simply desire more fullness. Fortunately, the JUÉDERM collection of fillers includes several formulations to treat different areas of the face. Your aesthetic specialist at Keylife Med Spa will customize your treatment to your needs to deliver natural-looking, long lasting results. 90% of people experience increased satisfaction with their facial appearance. People perceived themselves as looking 5 years younger. 76% of people still experience increased satisfaction with their facial appearance. People perceived themselves as looking 3 years younger.